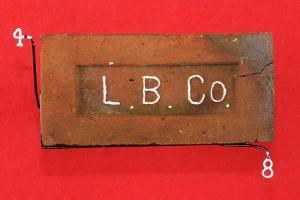 • Brand : L. B. Co.
• Maker : GLADDING, McBEAN & CO.? • City, State : RENTON, ? Clem said this was Ladysmith Brick Company. I'm checking on it. Stay tuned!